Fast-paced action game set in a war-torn future. Is there a better alternative to Warsow? Is Warsow really the best app in Action category? Will Warsow work good on macOS 10.13.4? 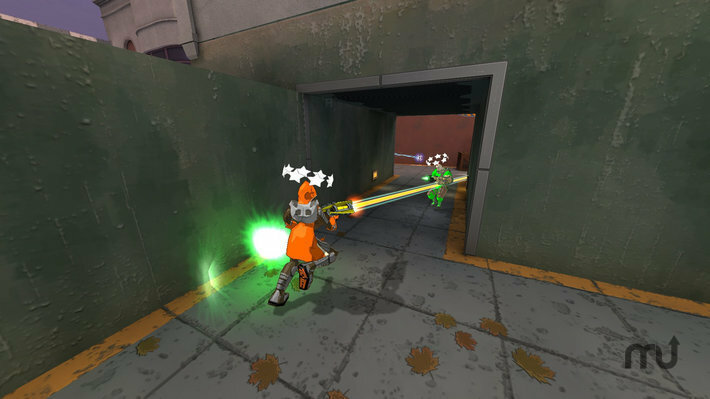 Warsow is set in a futuristic cartoonish world where rocketlauncher-wielding pigs and lasergun-carrying cyberpunks roam the streets. It is a completely free, fast-paced first-person shooter without hard graphical violence. Red stars instead of blood indicate hits and colored cubes replace guts as gib effects. Warsow needs a review. Be the first to review this app and get the discussion started! Warsow needs a rating. Be the first to rate this app and get the discussion started! Speed and movement is what Warsow is all about. Like a true cyberathlete you jump, dash, dodge, and wall-jump your way through the game. Grab power-ups before your enemy does, plant a bomb before anyone sees you, and steal the enemy’s flag before they know what is going on! An open source engine that gives you the freedom to make gameplay mods. Powerful e-sports features such as Warsow TV with OGG audio stream support for providing improved streaming capabilities. Highly customized graphics settings that allow flexibility for both competitive and casual play.